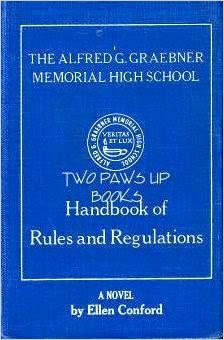 The Alfred G. Graebner Memorial High School Handbook of Rules and Regulations by Ellen Conford. Little Brown, 1976, 220 pages. ADVENT FAIR! Saturday, 9:00am to 2:00pm!